I love science even though my lowest grade ever was in high school chemistry. To me, a mole is either an animal or something that gets hairy on a person’s face. I am still confused by the scientific definition. But I always enjoyed the experiments, and my parents used to buy a lot of science activity kits for my brothers and me growing up. This influenced me to try to instill a joy for science in my children. Because of this, I am always scouring the internet for some awesome kindergarten science experiments. I know what you’re thinking – how the heck can you explain science to a five or six-year-old? What can they possibly understand? But by introducing your tyke to science experiments early – even easy ones – your child will not only gain an interest in science, but these simple experiments will also illustrate some complex terminology that your kiddo will revisit later. Score! Egg drop is one of those kindergarten science experiments that’s easy to do with supplies from home. After gathering the materials listed above, assign your kiddo the task to protect her precious egg. She can use glue or tape to stick objects to the egg, or just put it in a container (like a bucket) and try to cushion the egg inside. I remember doing this activity when I was little – one kid had a toy parachute man and tied it to an egg crate. That egg survived the throw off of a balcony. 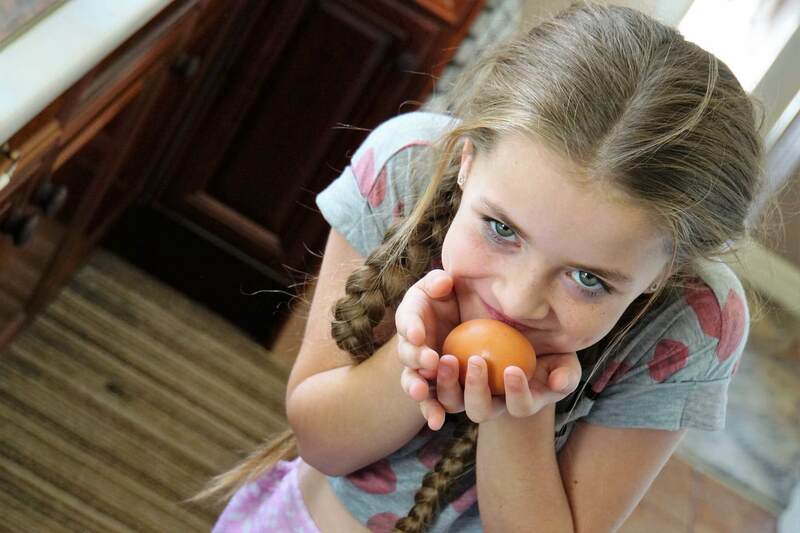 This is what you do next – you find a place for your child to drop her “protected” egg. I prefer someplace with stairs for height and a challenge. Since we are talking to a kindergartner, introduce them to the basic concept of gravity. Check out an easy explanation of the topic here. Also, have them develop a hypothesis on which eggs will break or survive. Then test different ways to protect the egg. If you’re feeling very sciency, then you could also talk about Newton’s Law of Motion: An object in motion tends to stay in motion until a force acts upon it. Hence the ground. Want to save the egg for an easy breakfast? Have your kiddo drop his egg protecting structure into a frying pan! I like my eggs scrambled. My son has a fascination with water and boats, so he enjoys this easy kindergarten science experiment. All you need is an assortment of objects that sink and float and a tub full of water. You can use a small plastic tub or kill two birds with one stone by performing this experiment during bath time. I am all for time-saving, so I prefer the latter. Then you have your kiddo form a hypothesis and guess whether each item will sink or float. Next, put that item in the water and evaluate. It’s an excellent opportunity to talk about patterns. For example, your child might pick up on the fact that objects full of air (like beach balls) tend to float and more dense objects (like spoons) will sink. You can explain in simple scientific terms that for an object to sink, it has to be denser than the water it’s placed in. You can further explain that the density of an object means how compact an object is. So that beach ball full of air, for example, is way less of a compacted solid than that spoon. Don’t be frustrated if your young one doesn’t seem to grasp the concept fully. Forming a hypothesis, experimenting, and even the words density and buoyancy will pop up again in the future. And bathtime will be over too! I am a big proponent of getting kids outside to play in the dirt. In fact, you should check out one of my previous articles on that subject: 9 Outdoor Kindergarten Social Studies Activities for Your Little Dirt Monster. But back to science. I enjoy setting up mini-plots with my son. All you do is go outside and find a small piece of land that has some plant life. Then mark it with string and four stakes to form a square. It shouldn’t be too big, a couple of feet by a couple of feet is fine, and this becomes your mini-plot. Your child should form a hypothesis about how he thinks the plot will change in the next week, then bust out his science observation journal and draw the plot – at the same time each day – for seven days (or longer). He also can express how the plot changes verbally. You can ask some probing questions to get him thinking: Have any new plants emerged? Is there wildlife in your plot? How does it look different from yesterday? You also could start the mini-plot with one particular question in mind – like how will rain affect the land? Then instead of observing the plot every day for a week, you can have your child observe it after it rains. This is one of those kindergarten science experiments that your kiddo will love! You might have made a volcano explode with baking soda and vinegar when you were a kid. I sure did, more than once. But did you ever talk about the science behind it? The classic volcano can teach your kindergartener about chemical reactions without a beaker or safety goggles. First, you have to make your volcano. This requires making paper mache, and a recipe for this fun, messy goop can be found here. Have your kiddo cut out a large cardboard square that will serve as your base, then glue a water bottle to the center of the base. After that, scrunch up balls of newspaper, and place them around the water bottle. Next, take your paper mache strips and attach one end to the top of the water bottle (make sure not to cover the opening), and the other end to the bottom of the base. You are going for that easy volcano funnel-like shape. Then have your child wait for his masterpiece to dry so that he can paint it. Put a little baking soda into the water bottle that’s meant to mimic the vent and throat of the volcano. Then add a little vinegar to see a chemical reaction between the two substances. Explain that this particular reaction creates carbon dioxide that explodes because of the pressure inside the bottle. For a more realistic effect, you can even mix the vinegar with red food coloring for some magma delight! I am 35 years old, and I still remember one of the science experiments from when I was in sixth grade. Yes, I did this experiment in sixth grade, but it can easily be done with a more basic explanation for kindergartners. My fabulous teacher, Mrs. Pfister, assigned us partners, gave us a ziplock bag filled with ice cubes and told us to melt them. Yes, those were the only directions she provided. I remember thinking I was so smart when I gathered four winter jackets, wrapped them around the ice, and then sat on them. Be nice; I was in grade school. Anyhow, I think we were given five minutes, and my partner and I were surprised when we unwrapped the coats to find the bag of ice looking very similar to the way it did before. Mrs. Pfister used this as a teachable moment to inform the class that this was because my partner and I had provided the ice with insulation. The kids who spent the full five minutes rubbing the bag in their hands were the ones that melted the ice. Our teacher explained that this had to do with the transference of heat, scientifically known as conduction. Most of us know that ice is 32 degrees Fahrenheit, but most of us do not know that for it to melt, it needs heat (with a temp higher than 32 degrees) transferred from its surroundings. To make this a kindergarten science experiment, just explain the basics. Here’s a solid explanation for the situation above – the jackets were not nearly as warm as a kindergartner’s grubby hands. Hands were the better heat conductor. See, I bet you even learned something from this remarkable science experiment. Thanks, Mrs. Pfister! Materials: Food coloring, soap, milk, and bowl. If you haven’t noticed, I love science experiments for kindergartners that use materials you can quickly grab from around the house. That’s why I enjoy this next experiment that uses milk from your (hopefully) stocked fridge. It’s simple: Put milk, some food coloring, and a drop of dish soap in a bowl and witness a molecular reaction. Explain to your eager Einstein that milk is made out of water, proteins, and fat. The dish soap has a molecular structure that separates the fat from the milk, and the food coloring allows us to see these molecules interact. To keep it basic with your kindergartner, have him come up with a hypothesis and talk about how different liquids react with each other. Then explain that the dish soap breaks up the fat in the milk. After that, make your kid some chocolate milk. Your kiddo is guaranteed to have a blast with these 6 kindergarten science experiments. Luckily, they don’t require a lot of effort for the parent – another huge plus! Activities like these save my sanity because entertained munchkins provide me with time to actually put the laundry away or sit down and breathe for a few minutes. Yes, I now love science more than ever! P.S. Liked this article? Don’t miss the next article from Amanda Clark. Amanda Clark creates educational content for the Atlas Mission. She is a work-at-home mom with two awesome sons that keep her on her toes. 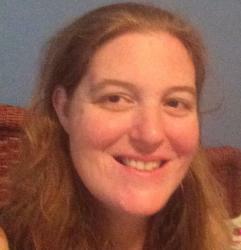 She has written four books of poetry, loves technology, juggling pins, and freelance writing.